One of Steph's favorite shows to watch while she is in treatment or at home not feeling well is Alton Brown's food show. When Steph was thinking about what to choose for her Memory Maker experience, she knew Alton Brown was coming in town and was eager to go. 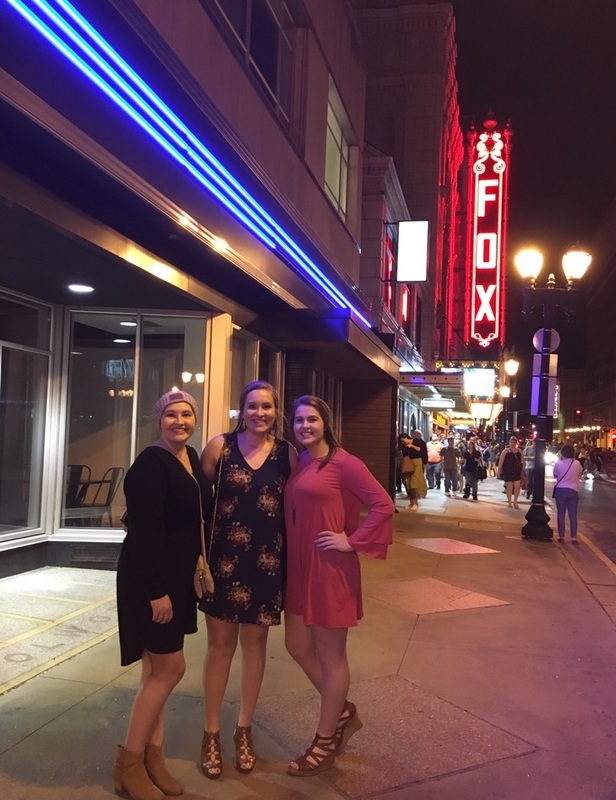 With the help of Alton Brown's crew and Friends' Program Director, Brandy, Steph and her family enjoyed a special night out at The Fabulous Fox complete with dinner and a hotel stay. "We just wanted to thank you for the wonderful time we had at the Alton Brown show! The food was delicious, the show was awesome and the hotel was very, very nice! We felt like royalty!" - Sue, Steph's mom. 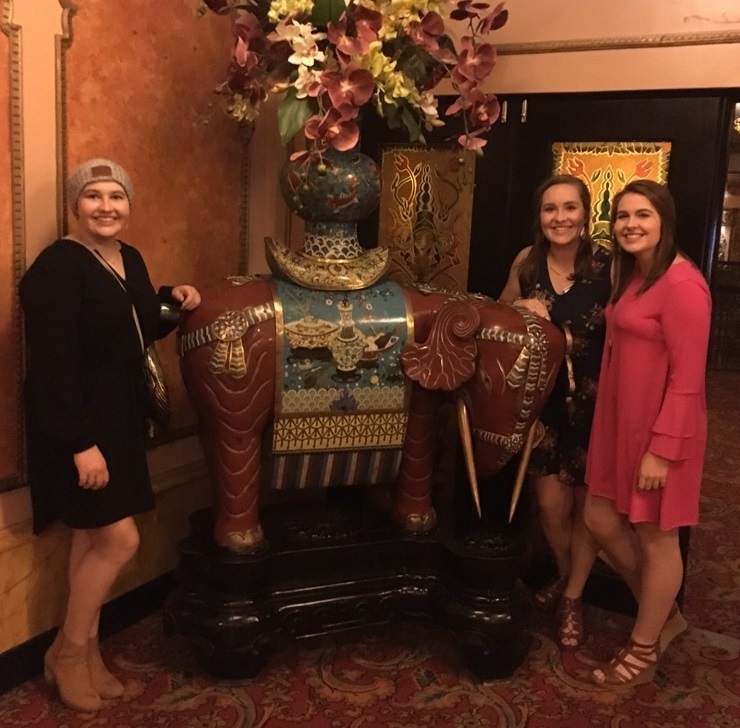 Steph and her sisters at The Fox. 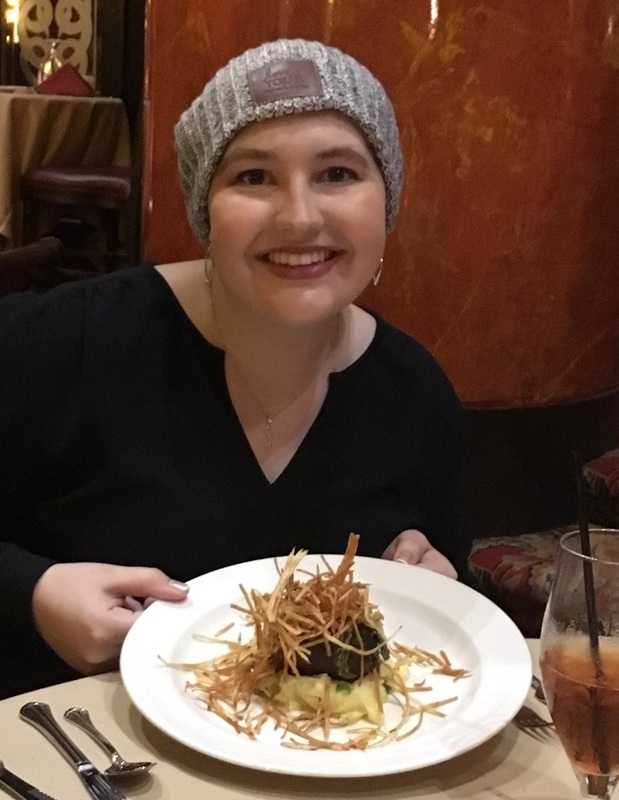 Steph enjoying a fancy dinner at The Fox.